As part of a larger effort to modernize its stores and better compete in the fast-food industry, McDonald’s has announced that it plans to purchase a technology company called Dynamic Yield. The deal is valued at $300 million, people familiar with the matter told the Wall Street Journal, making it the chain’s biggest acquisition since buying Boston Market in 1999 for $173.5 million. Dynamic Yield will help the fast-food giant personalize its drive-thru experience through the addition of technology that will enable the menu displays to change based on different factors, such as current weather. On a very hot day, for instance, the display could suggest an ice cream cone. The technology can also display additional menu items based on customers’ selections. “Technology is a critical element of our Velocity Growth Plan, enhancing the experience for our customers by providing greater convenience on their terms,” McDonald’s President and CEO Steve Easterbrook said in a statement. The restaurant chain said it tested the technology in several U.S. locations last year and “will begin to roll this technology out in the Drive Thru at restaurants in the United States in 2019,” with plans to expand its use to other top international markets later. Last August, the company detailed its plan to incorporate more technology into its locations. To increase customer convenience and boost revenue, McDonald’s said it planned to add self-serve kiosks, digital menu boards, and modernize dining rooms with new furniture. The company has also partnered with Uber Eats to add “McDelivery” at thousands of locations. 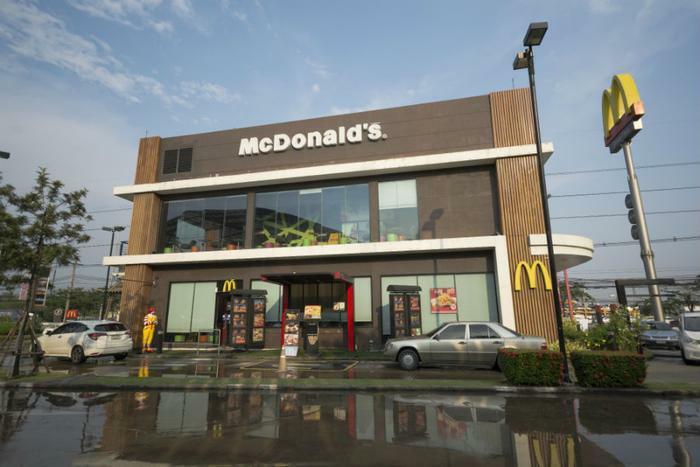 McDonald’s CFO Kevin Ozan said earlier this year that the restaurant chain wants to focus on promoting its delivery service in 2019 as he Easterbrook both view delivery as a clear growth opportunity.